Every now and then I try to piece together what it is I'm actually doing with this life I've got. Between the breakfast in bed and the preschool made cards this weekend I've been reflecting on motherhood. It seems the world has plenty to say. I've read plenty of articles from ridiculous "10 Worst Mother" click bait to Social Work textbooks detailing child psychology. I've been wary of the books that promise a better child in ten easy steps and I've scanned over comment sections on articles posted on MamaMia just to get a rise out of people. I can remember wearing myself to exhaustion over a sleep training book when Lu was 9 months old. Writing all the things she was doing down in a notebook and trying to train her to sleep. Everyone's got an opinion and an idea about how to do it. You could ask me, I've got my ideas too. And then there's the "Mommy Wars." This confuses me. The only evidence I have seen of these so called wars is in the articles telling us how horrible they are. Or the videos (promoting formula) that tell us they must stop!? Or the comments... Never read the comments. All the mums I meet are generally happy to let others be and understand from their own lives the difficulty and exhaustion that comes with being a mum and so, despite our difference in style the're happy to be sympathetic and supportive. But maybe I'm just surrounded by nice people? And then there's the advertising. All. The. Things. The 50 essential newborn items. The 260 soft toys your one year old needs for their development. The 3948723 single use toys you MUST have. And now that school looms on the horizon. The choices. The after school activites to turn your precious one into a genius or a sports superstar or a prima ballerina. And the other kids, a mini advertisment in themselves. Often, a guilt trip of where your own kid is at. I can remember seeing some other 18month old who could count to 10. When we went home Lu was drilled. C'mon child COUNT! And then there's the way I was raised. Out in the fresh air in the country. Every breath of city air reminds me of what I'm not doing. And then there are two sweet girls tucked up into their beds as I write. They are the ones that made me a mother. They are what I am doing. They are the manual to read. When they are telling me they want to play faries in the garden, or that they are hungry or that they love special treat late night outings to get sushi and ice cream. They were the babies that refused to be put into a book I could read about. The baby that at nine months old just wanted to have milk and a cuddle but at four goes to sleep with a book and comes for a lovely morning cuddle at an incredibly reasonable hour. They are the little girls who couldn't give a hoot what some other mother thinks about the way they are being brought up. They are completely oblivious. As hard as it is to believe based on the way I see myself, I am their favourite person. I know it may not always be so but for now it is. They are the girls who can make fun out of playing with sticks and cutlery and at the same time simply adore all the Disney princesses despite my best efforts to minimise their involvement in our lives. They like playing with duplo but also just like hanging out with Myl and I. The only time they notice the things we lack is at the toy shop but the memory is easily forgotten. The only reason I am a mother is because of them. I can take the books and the fancy toys and the awesome after school activities but if I'm doing them for anyone else other than those two little sleeping ones then I'm wasting my time. Even more so as a Christian I do things for a greater audience. That of my heavenly father who parents perfectly. 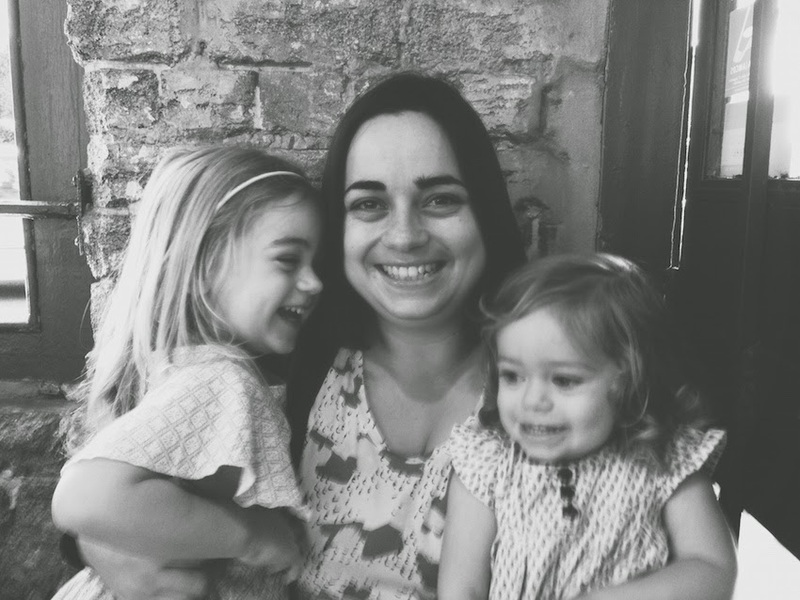 Knowing that despite my failings it is God who loves my girls more than I do.